Fuel line quick disconnect ? 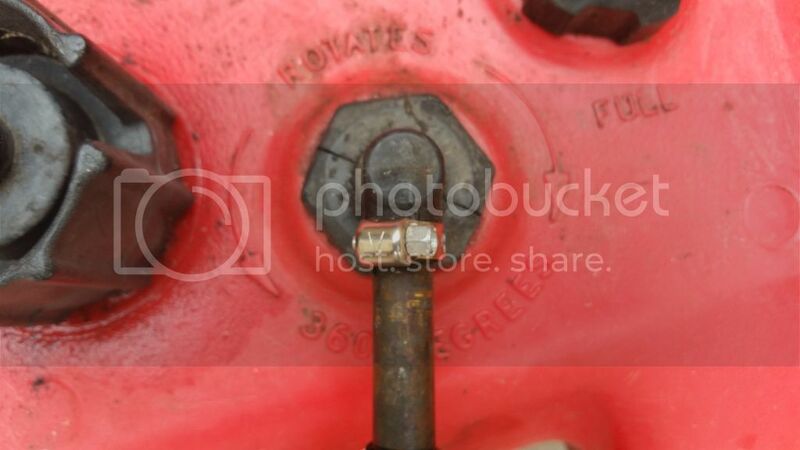 Post subject: Fuel line quick disconnect ? Is it necessary to have a quick disconnect from the tank to fuel line? The one that i just picked up off Craigslist is held on my a clamp. assuming you are talking about the plastic portable tank? in my world, there is no need to have a QD at the tank. this elimates one of the weak links in fuel delivery if it is not used. clips/clamps at the squeeze bulb and all fittings with new stainless hose clamps. Last edited by Johnny on 03 Oct 2016, 17:19, edited 1 time in total. Now if you routinely used 2 tanks, then yes ... they'd be one heck of a good reason to have one . Thanks for the info.I intended to replace the fuel lines and clamps (a few hoses were zipped tied versus clamped), I didn't think of the bulb. yep - that's fine as is. I remember the last time I bought an old plastic tank . . . . .
filed it with 6 gals of fresh gas and headed to the lake. got to the lake and smelled VERY strong gas fumes !!! Thinking the cap may have leaked, That was my first check. Then, saw the tank was only HALF FULL of gas !!! and 3 gallons of fresh gasoline was sloshing around in the bottom of the boat . . .
and I went and asked them what to do. contaminated water according to law for hazardous waste". so - - - be EXTREMELY cautious of the older plastic gas tanks !!!!!!!!!! of fuel into your boat from a 6" split - - - - inspect it often. On my new boat it does not have a quick disconnect fuel line anywhere. The tank is permanent but I would like a quick disconnect fitting on the motor so I can run out any remaining fuel from the motor before putting it away for winter storage. Just worried about fuel restriction if I were to add one. A lot of EFI motors don't have a quick connect fitting. Running an EFI engine out of fuel is hard on the fuel pump, which relies on fuel for lubrication and cooling. Post subject: Re: Fuel line quick disconnect ? I just don't want to leave fuel in the motor during the winter. So most of the time it would stay connected and primed.